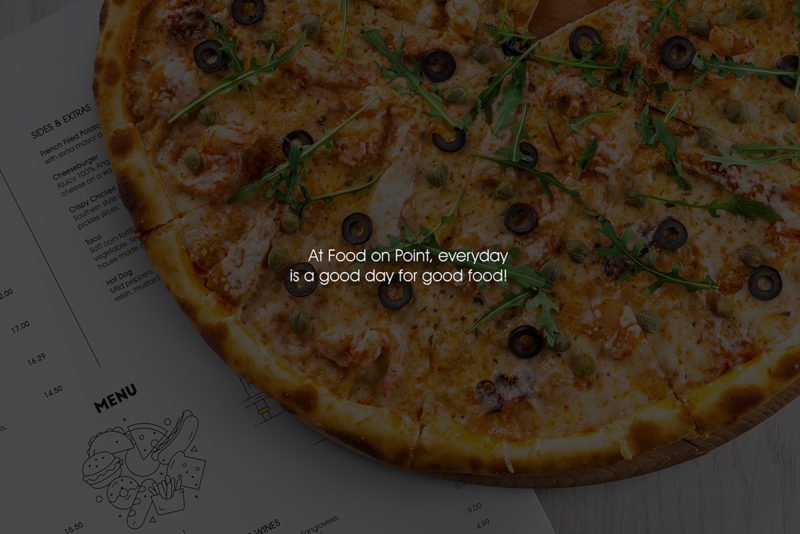 Food on Point is a Pizzeria and Wine bar known for their hand-made traditional pizzas and bountiful wine collection. 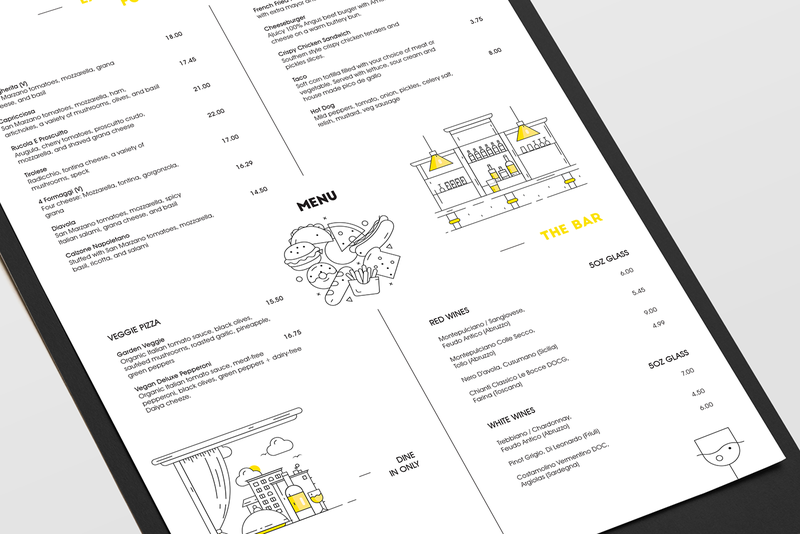 It gives a friendly dine-in-only experience that offers something for everyone. 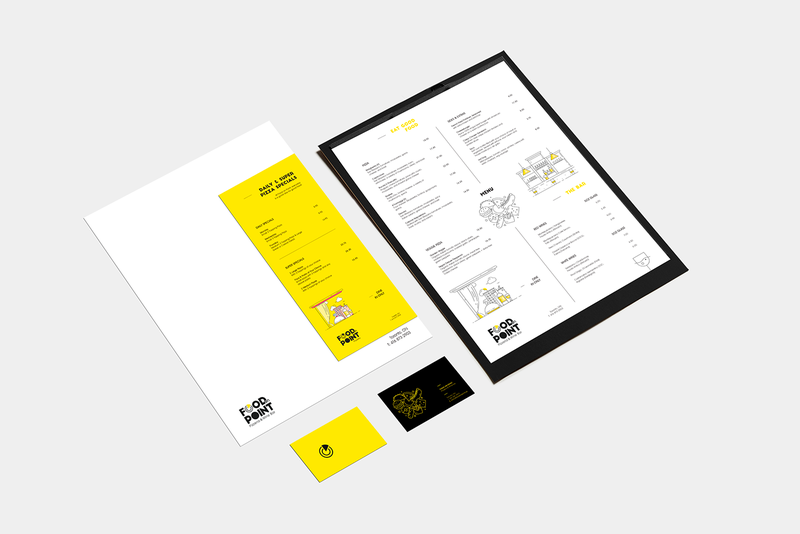 Their menu not only offers pizza but includes tacos, burgers, fries, sandwiches, and hotdogs as well. 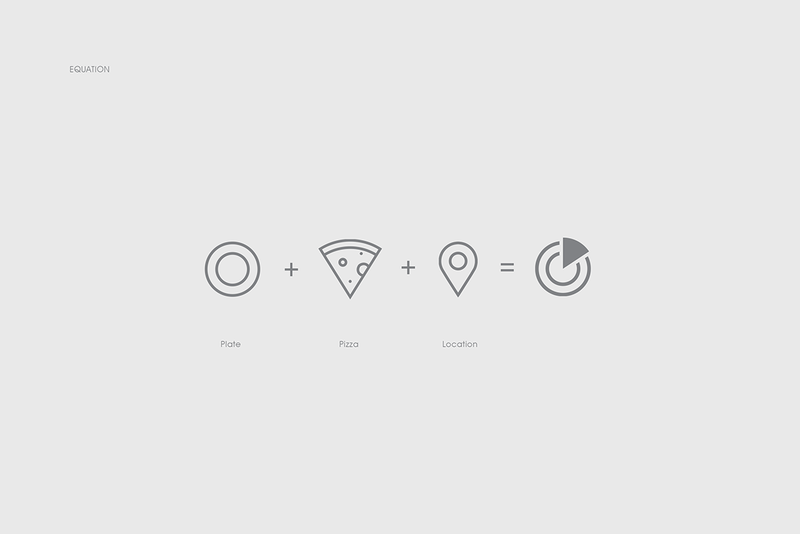 The logo mark was constructed using a coordinate system to determine the positioning of a slice of pizza on a plate at a 72-degree angle. 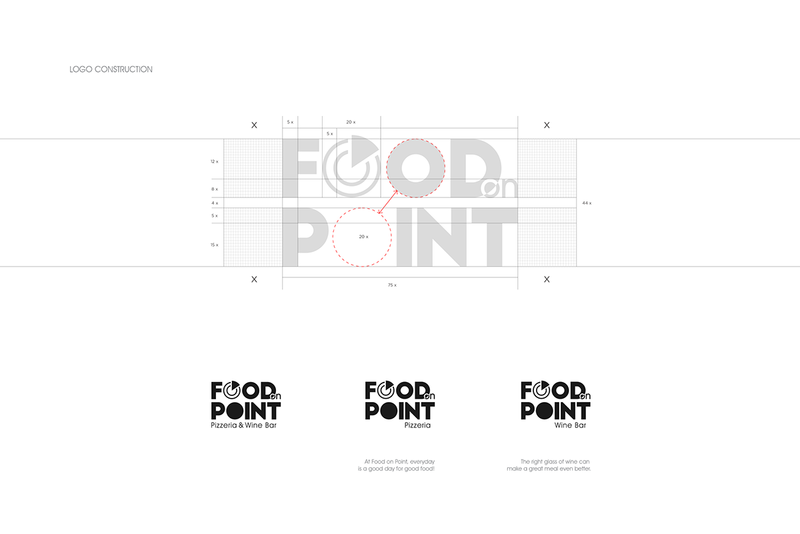 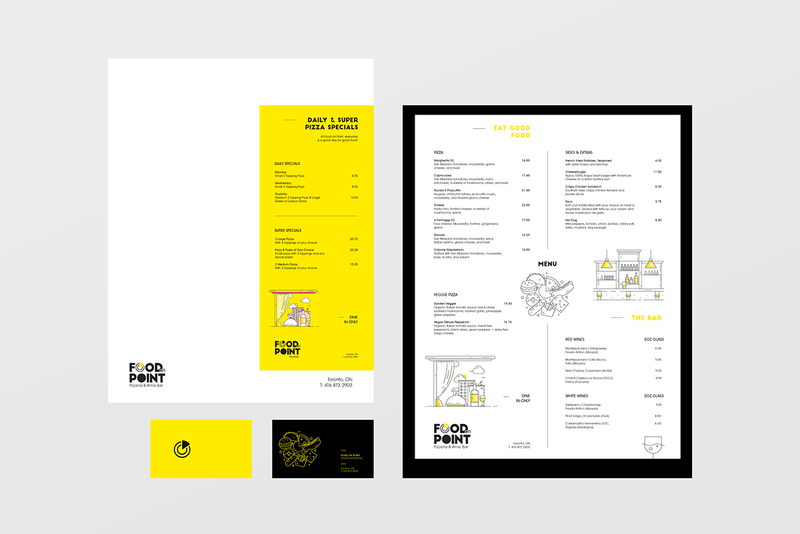 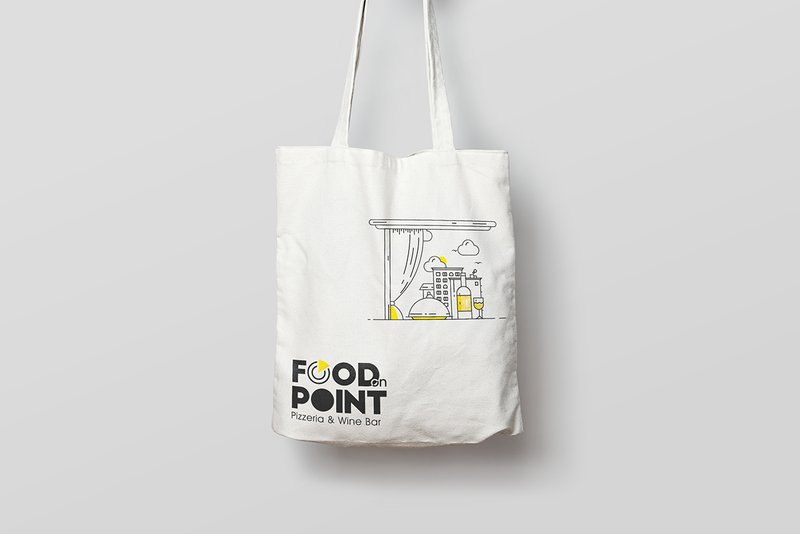 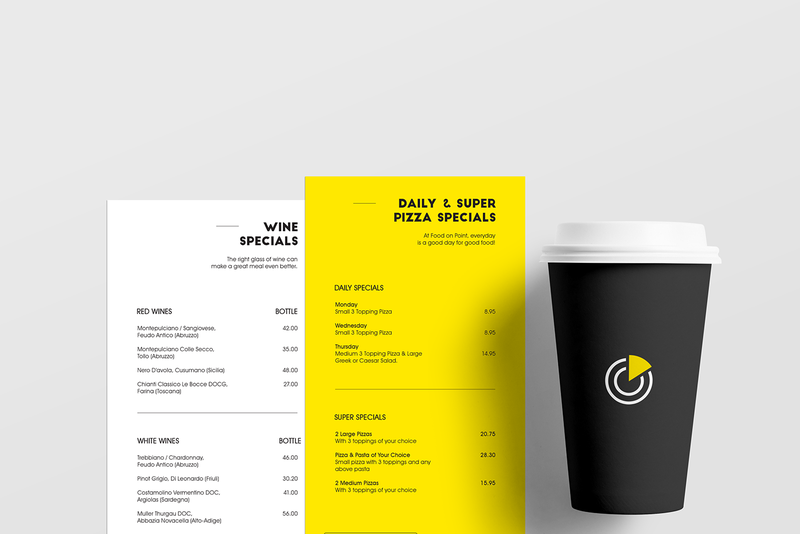 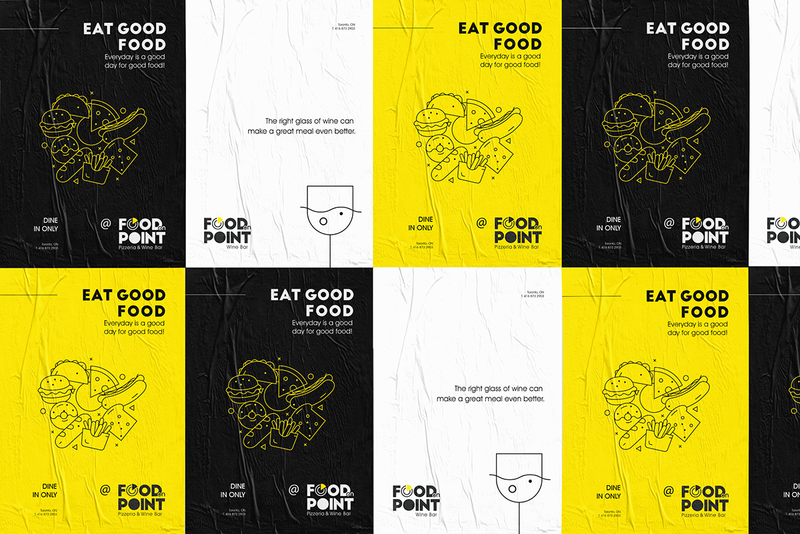 The logo challenge was to deliver a clean unique mark that could cooperate with and within the phrase “food on point”. 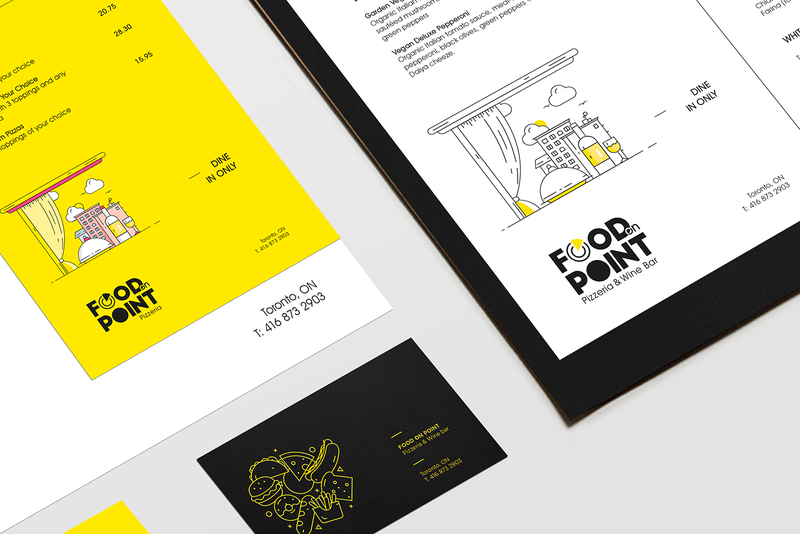 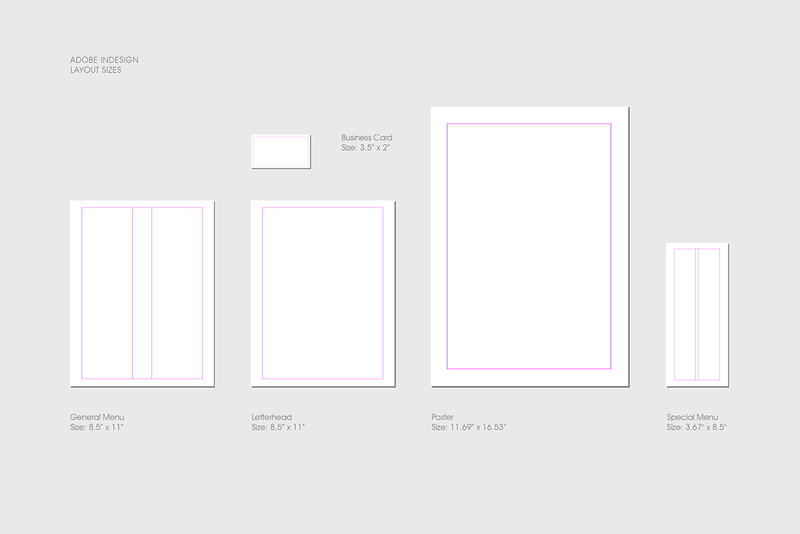 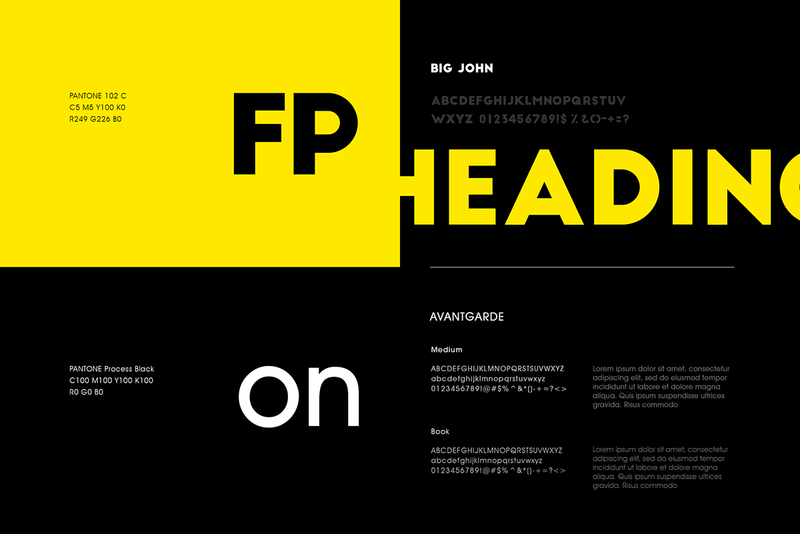 The entire project is supported with geometric, flat line illustrations to help set a friendly, expressive tone but also for clarity and creative balance to the visual identity. 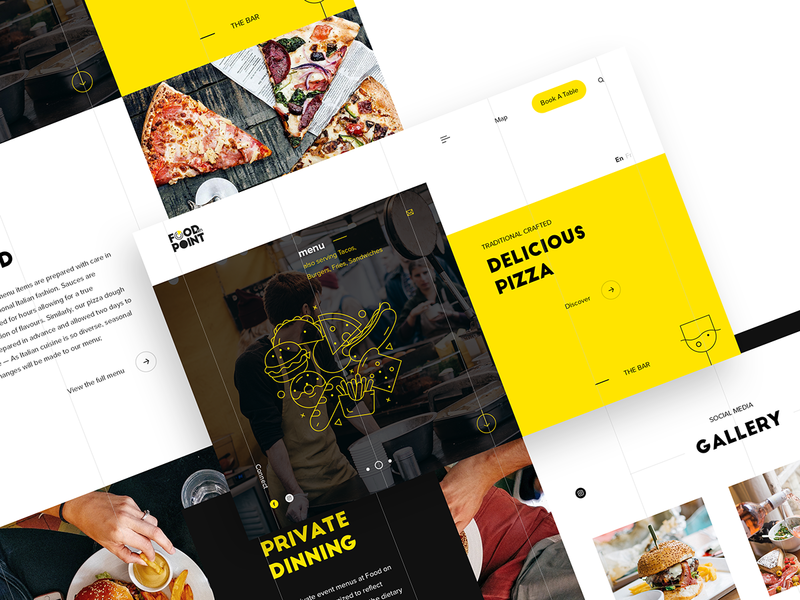 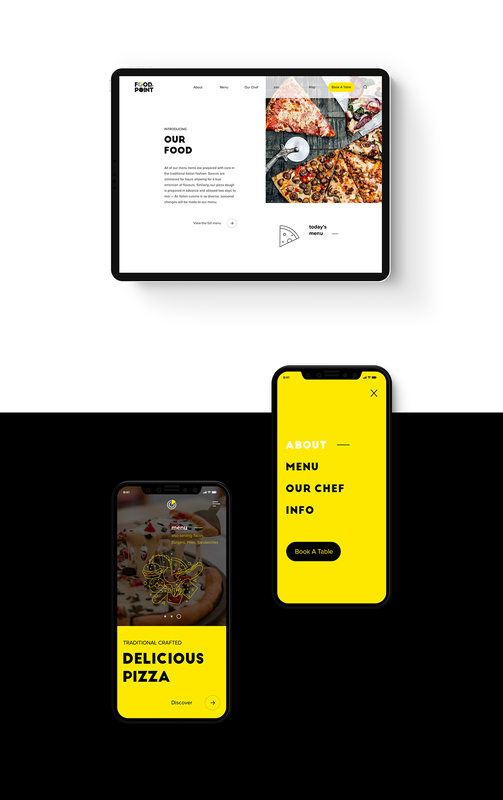 The landing page is a conceptual layout, designed with simplicity in mind, intuitive UX which gives structure and flow for Food On Point’s potential customers. 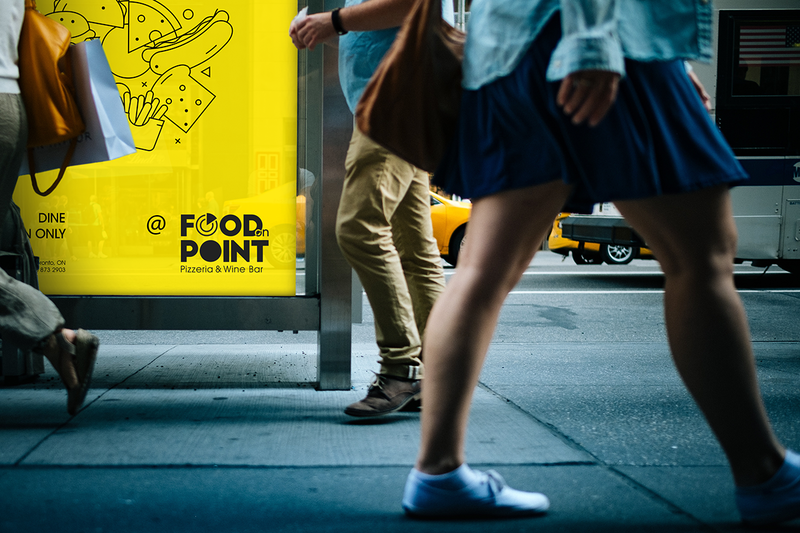 Thanks for touching the bottom! 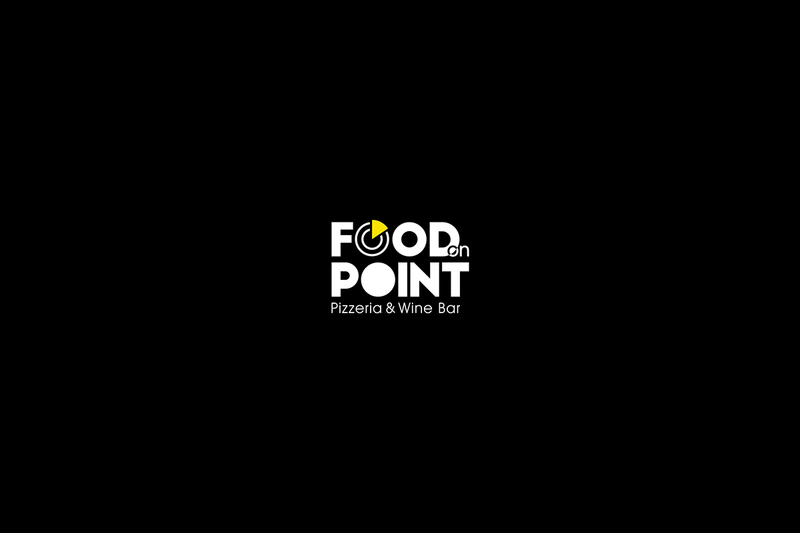 Food on Point is a Pizzeria and Wine bar known for their hand-made traditional pizzas and bountiful wine collection. 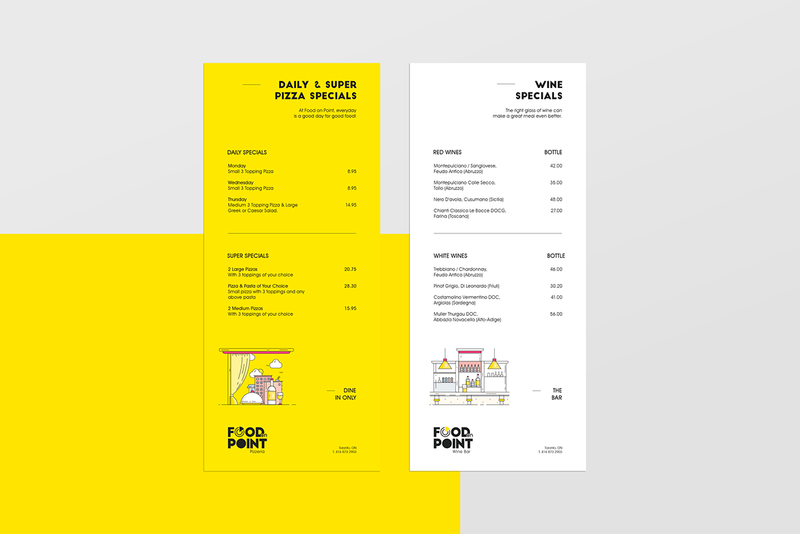 It gives a friendly dine-in-only experience that offers something for everyone. 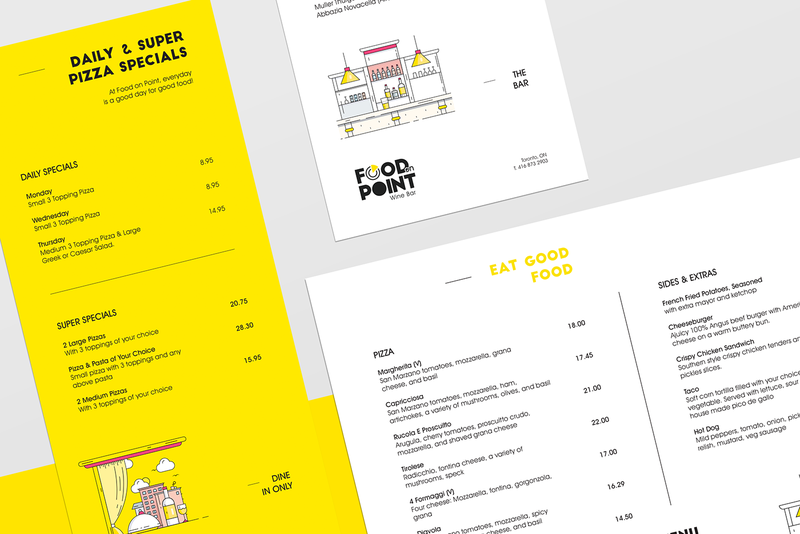 Their menu not only offers pizza but includes tacos, burgers, fries, sandwiches, and hot dogs as well. 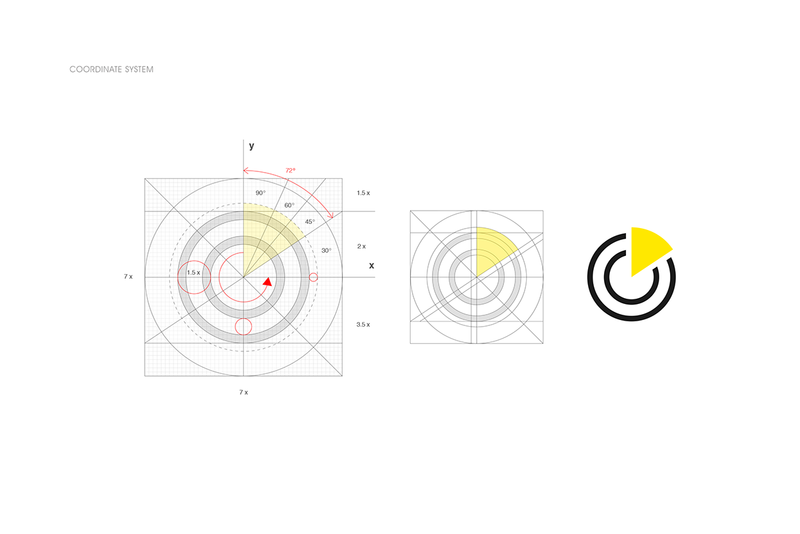 The logo mark was constructed using a coordinate system to determine the positioning of a slice of pizza on a plate at a 72-degree angle. 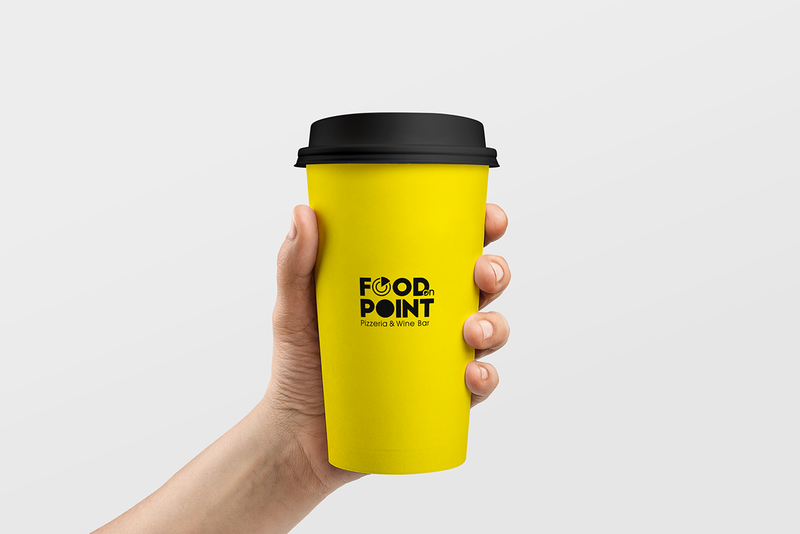 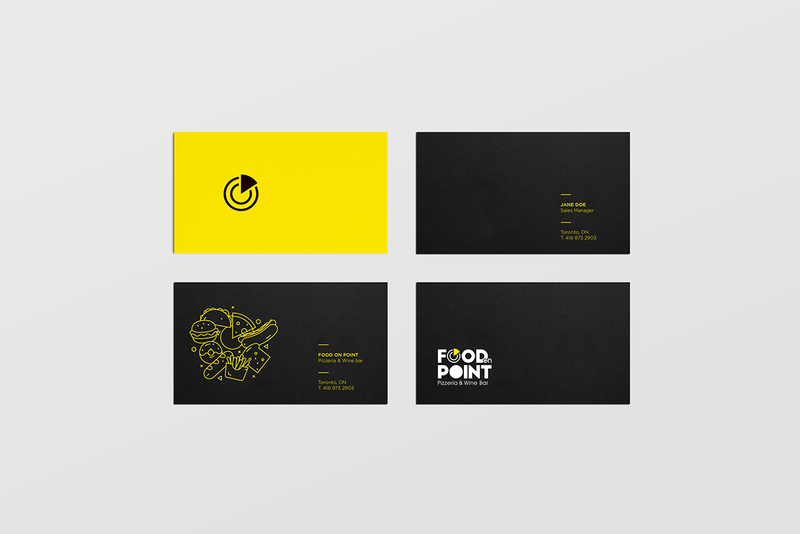 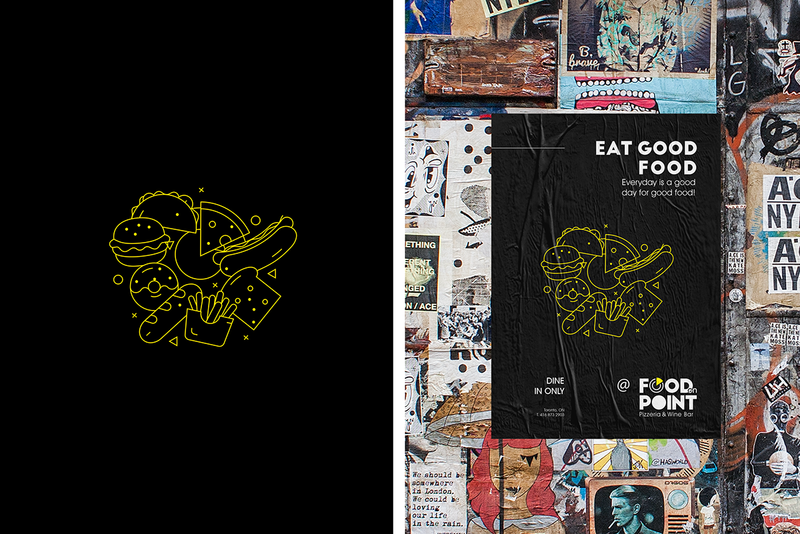 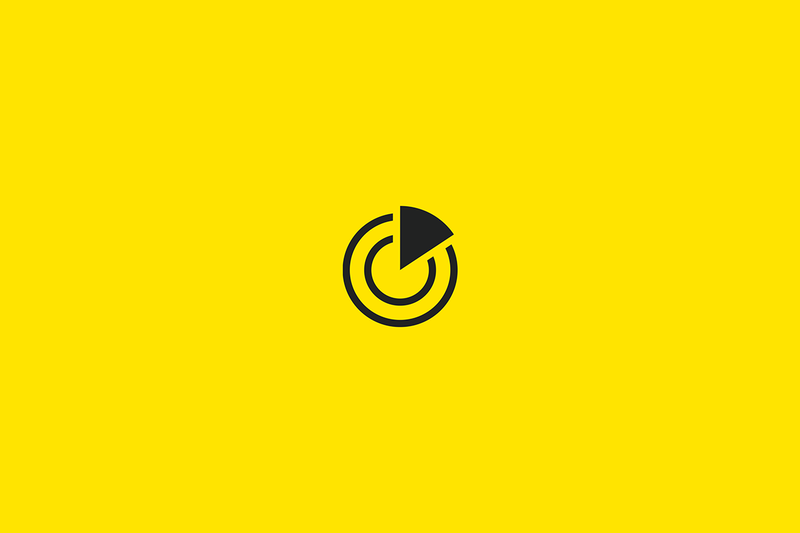 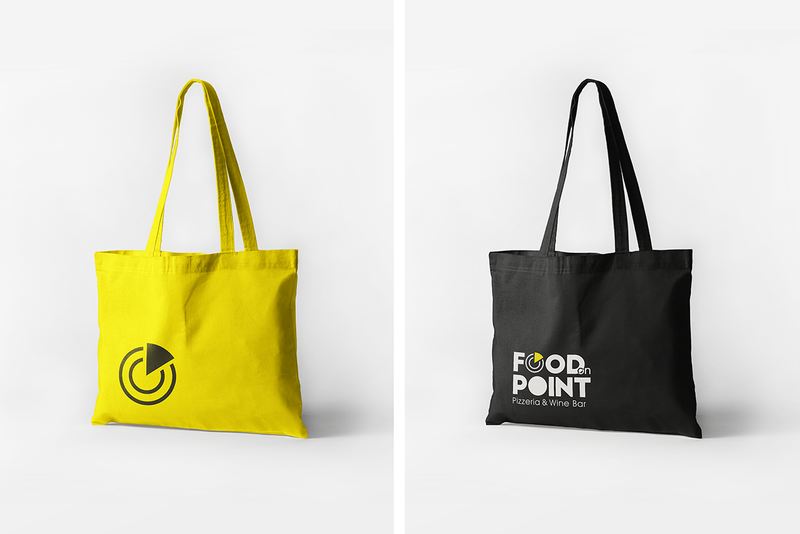 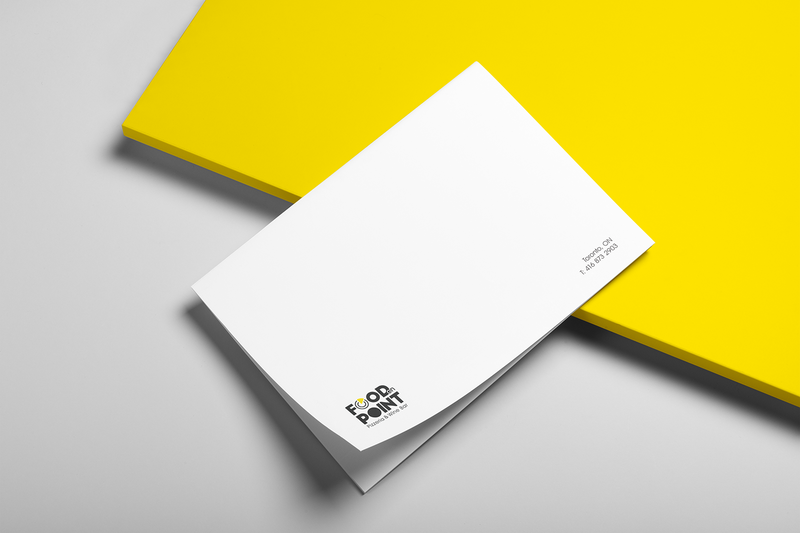 The logo challenge was to deliver a clean unique mark that could cooperate with and within the phrase “food on point”. 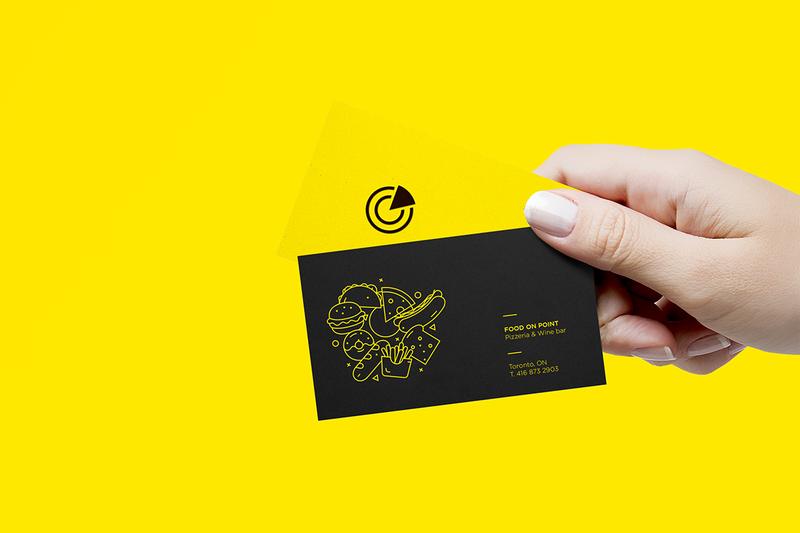 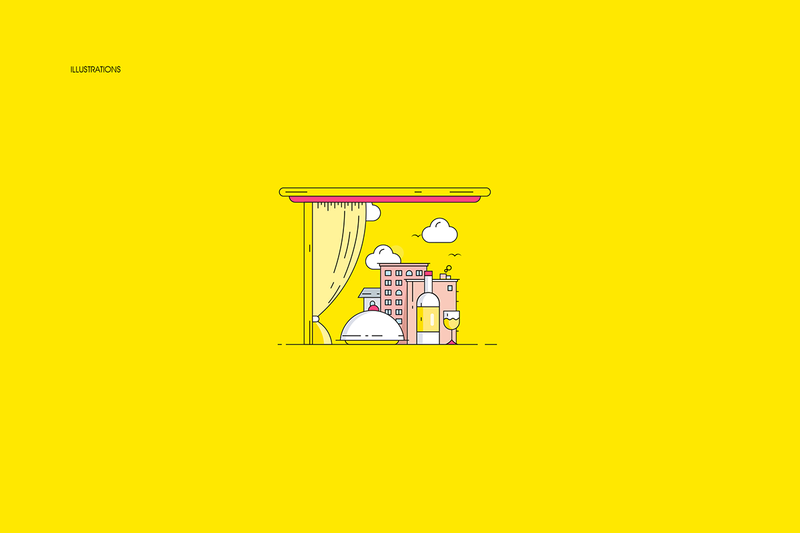 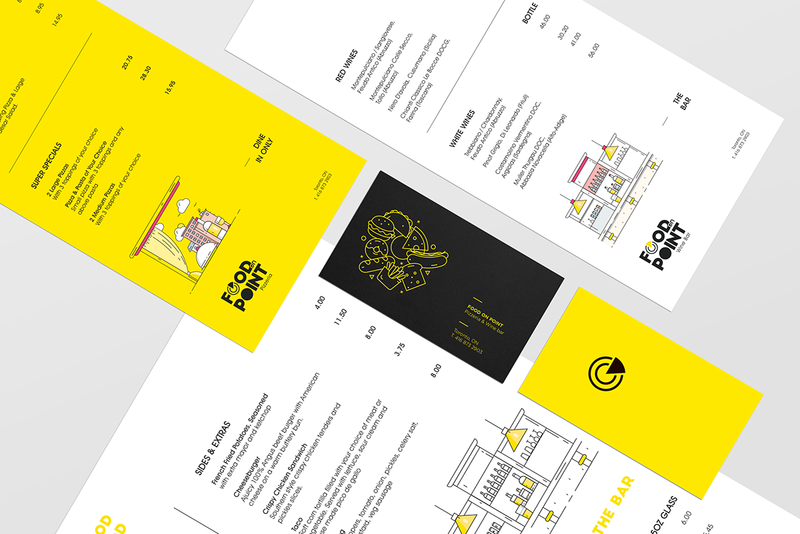 The entire project is supported with geometric, flat line illustrations to help set a friendly, expressive tone but also for clarity and creative balance to the visual identity. 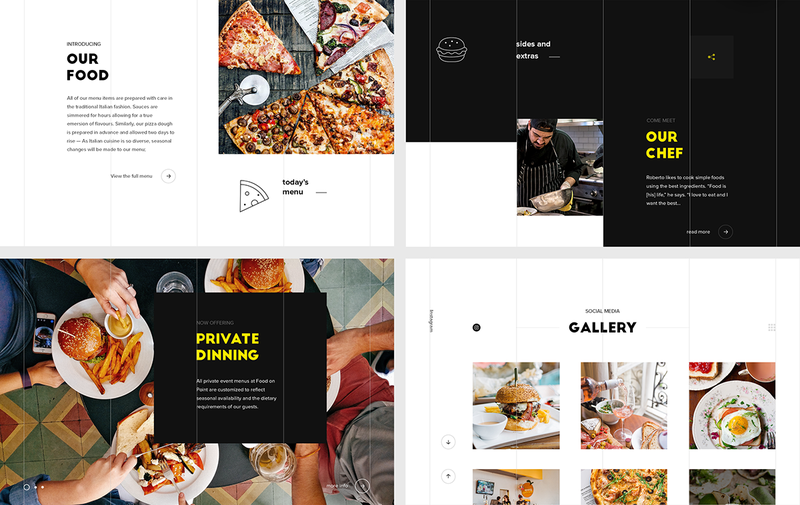 The landing page is a conceptual layout, designed with simplicity in mind, intuitive UX which gives structure and flow for Food On Point’s potential customers.